Fall is here and that means layering…your breakfast bowl. There’s nothing better than sitting down to a steaming dish of gruel, Oliver, than feeling like it was put together by the best bed and breakfast in town. While it might not quite trump Sweedeedee’s breakfast bowls, following these instructions will get you mighty close. 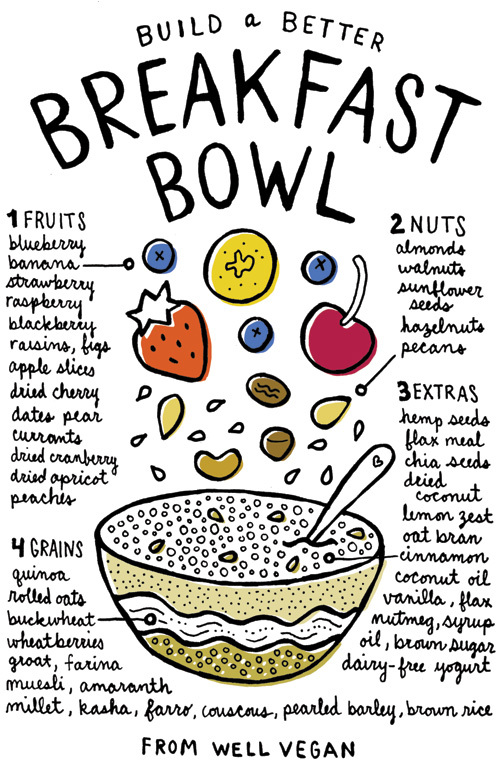 For more details on how to make a perfect morning meal, check out Well Vegan’s breakfast bowl post. Or see others in this series, including how to make a salad in a jar, mix and match ingredients for a perfect smoothie or expertly stack a sandwich.